It’s refreshing with finding a book with this perspective of social media where the focus is on that you are on the playground of the consumer, i.e their space, their terms and your job as a marketeer is to find out what creates a REAL connection with your audience, and how to build a real community around what you are doing. I was in need for a fresh breeze and perspective for my social media activities, and if you’re to learn something, you ought to learn from the best and I found what I was looking for along the way while reading this book. I read Jab, Jab, Jab, Right Hook with a notebook on the side where I took notes and sketched out ideas I got while reading. I strongly recommend this, since you too will probably get a few ideas while reading it. I also wanted to make sure I could form steps relating to the activities I do for the ventures I’m involved in, from the book. It’s easier for me to learn that way to make real life, practical examples straight away. Gary Vaynerchuk does a great job describing the different current “social media platforms” and what he has found works on them and how you can find out what works for you. By taking the pressure away from content creating, the book contains advice on creating micro-content suitable for each platform. The book contains case studies by big and small brands where Gary Vaynerchuk points out what is good and also what is bad, and in some cases really, really bad. As a small business owner, you’d be happy to read them and also to get ideas for your own content. The book is divided into chapters centered around one platform at the time. So you can easily focus on one social media platform at a time and work your way through them. But also pick and choose which platform is relevant for what you are doing. 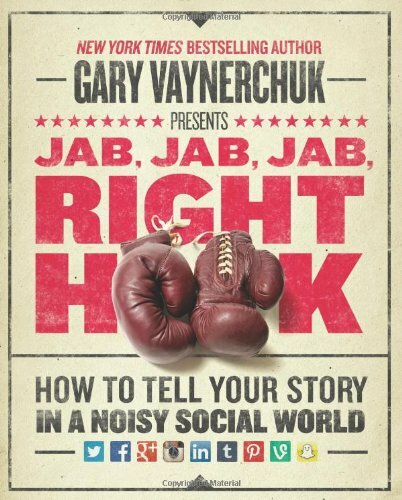 Gary Vaynerchuk reinforces that by following the masses in social media leads to mediocrity. Don’t be afraid to do you own thing. Get to grips with content creation and telling compelling stories. Facebook, Instagram, Twitter, Pinterest, Tumblr, and briefly covers opportunities in emerging platforms. The book is available from amazon or iBooks. Image source: amazon.com. Source linked above and the image is used for promotional purposes only.